Woodland Park Zoo President and CEO, Alejandro Grajal, PhD, recently returned from his trip to Papua New Guinea, where he explored the community and conservation impacts of Woodland Park Zoo's Tree Kangaroo Conservation Program (TKCP). His mission? Experience first-hand the TKCP community and landscape that coexist in remarkable ways, bring back some of their stories, and change the batteries on three radio collars attached to three tree kangaroos that live nearly three stories about the forest floor. Woodland Park Zoo’s own Lisa Dabek, PhD, started the Tree Kangaroo Conservation Program over 20 years ago. Her dedication to saving species has created a network of partners and communities that protect over 160,000 acres of tropical cloud forest, villages, plantations and grasslands, as well as 100 acres of coral reef in the YUS Conservation Area. The story of how this charismatic marsupial has become the flagship for protecting an extraordinary variety of rare species is astounding. Now, let's talk with Alejandro about what he has experienced through this community-based model of conservation stewardship and why he's so optimistic about its success. Tree kangaroo habitat in the YUS Conservation Area of Papua New Guinea. Photo by Alejandro Grajal/ Woodland Park Zoo. AG: It was a fantastic trip. I have been to many different places, but this was very interesting, very unusual. The thing that surprised me most about the visit was, first, the region where we were is incredibly well conserved. I saw nearly pristine primary cloud forests—the kind that are very hard to find anywhere in the world. Second, how generous and proud the people of the YUS ecosystem are about their conservation ethic and their conservation planning. The work they are doing to figure out the balance between conservation and economic progress and health—it's a struggle just like for anybody—but they were very optimistic. That was very refreshing to me. I have seen a significant number of conservation projects. I have to say when you compare how much the community has been involved and look at the amount of biodiversity that is being preserved—it's very remarkable. The fact that Woodland Park Zoo has nurtured this program makes me very proud. Preparing for a celebration. Photo by Alejandro Grajal/Woodland Park Zoo. AG: Going with Lisa was an eye opener. I have known Lisa from the Seattle-perspective, but seeing her on the ground—the endless energy that she puts into everything, and the admiration and comradery that she gets from her counterparts in PNG was a true joy to see. She is no question an amazing leader; she has built trust, friendship and confidence around her and that is beautiful. Traveling with Penny and Joe, and Joe's wife Nimmida, was also an interesting look at storytelling. Joe is a seeker of images, very skilled, very detail-oriented. Penny has a unique talent to find the human stories in this larger context. The way she connects with people and is able to distill these human stories out of this complex project is exciting. Their perspectives are very valuable and bringing this type of multimedia storytelling back to Seattle is key. This will allow us to invite others to join our journey—not only in PNG, but around the world. Alejandro Grajal and Penny LeGate celebrate a successful hike high in the cloud forest. Photo by Lisa Dabek/ Woodland Park Zoo. KP: The Tree Kangaroo Conservation Program is a benchmark model for conservation not only in protecting wild places and wildlife, but in creating a community of conservation-minded partners. The success of this program is clearly linked to the people. You've mentioned the human story; can you speak more to that? Future conservationists! Photo by Alejandro Grajal/Woodland Park Zoo. The local team we worked with was unbelievable. How they moved through the forest, the way they climbed the trees, and how incredibly attuned to the forest they were. It's nearly impossible to see these animals in the wild. They sleep on branches 28 feet above the forest floor on mossy clumps that are nearly the exact same color as the animal. The moss is bright orange, and unless the animal moves an ear or tail, there is no way you are going to spot it. We had to isolate the animal, so we were supported by Dr. Carol Esson, an Australian wildlife veterinarian, who has worked with the project several times. She made sure that the animals were safe and not harmed during the process. They are so incredibly fluffy, but also very, very wild. As usual, with wild animals, I am just in awe of their presence. KP: What do you see as the next iteration of this project? Camera traps, data collection, technologies are always improving. What is the zoo's role in helping Lisa and TKCP move forward? AG: This is the first protected area in PNG, and it has also become an emblematic program for all protected areas in the country. Many organizations have tried and failed to accomplish this. This project is a living laboratory on how to conserve whole ecosystems and work with the local communities to achieve conservation results. That is huge. Yes, there are great improvements in tech and tracking, and we've recently come light-years ahead in understanding the connection between healthy forests and healthy people, but the bigger thing is truly saving these ecosystems. Preservation is key. 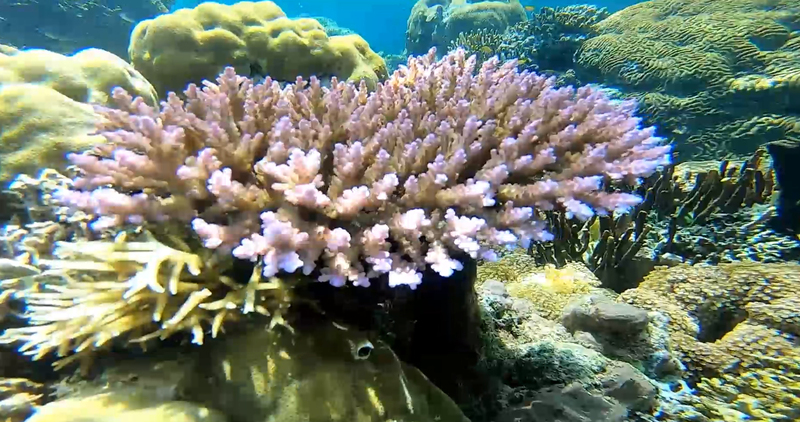 Gorgeous coral reefs skirt the YUS Conservation Area. Photo by Alejandro Grajal/Woodland Park Zoo. Photo of the forest at dusk by Alejandro Grajal/Woodland Park Zoo. KP: The YUS Conservation Area took you to extremely remote cloud forests at 3,200 feet down to the protected reef where Papua New Guinea meets the sea. The island is an incredibly biodiverse landscape that hosts a rich array of creatures only found in these distinct ecosystems. What can you tell us about the importance of protecting living landscapes at this scale? AG: So, what most people don't know, is that the YUS project is a giant triangle between three rivers in the Huon Peninsula. This area was actually isolated from PNG for millions of years and was finally connected to the rest of the island during the last 6 million years. The remarkable thing about the Huon Peninsula is that since it has been so isolated, it has even more unique biodiversity than the rest of PNG. Almost half the species living in Huon are unique to that very peninsula. You are looking at a plant that is relatively common, such as a Schefflera (a common office plant), but here it is the unique Huon Schefflera plant. And there is a Huon Matchie's tree kangaroo, a Huon honeyeater, etc. In everything, from orchids to mammals, the level of endemic uniqueness is equivalent to Hawaii or the Galapagos, except that there are a lot more species here because the landscape is so untouched and vast. I hiked through forest so green it seemed like a fairy tale and snorkeled in reefs of equal measure—these landscapes are living, breathing things. Photo by Alejandro Grajal/ Woodland Park Zoo. KP: Can you explain how the zoo’s new mission to inspire everyone to make conservation a priority in their lives is linked to this project? AG: PNG is probably one of the biggest carbon sinks in the whole world. It is incredibly productive. The forest and the volcanic soil work like magic for cleaning our air. Our human existence relies on climate regulation. The unique creatures who inhabit this landscape have intrinsic values we don't even know about. Who knows where the next modern drug or cure will come from. While I was there, there was a report of a new treatment for epilepsy derived from a species of spider discovered in Australia. If we lose these things, they are gone forever. Lastly, this is our heritage. As humans, we must do this. As a fellow cloud forest citizen, Seattle sits in one of three largest temperate cloud forest ecosystems in the world. We are sisters to the region in PNG. We can learn so many lessons from the exercise of caring for this place and for each other. Alejandro sketches a scene from the cloud forest. Photo by Lisa Dabek/ Woodland Park Zoo. KP: You have traveled a lot in your career. Why is travel important to the work we do? AG: The field is where I grew up professionally, I mean this is what I did for more than 30 years. The new thing for me is to be with a coat and tie—and not having to swat mosquitoes for a change! The forest is my element. I really loved being back there. I love to experience the whole feeling of being in the field—with all its discomforts, and its magnificence. Sometimes you forget that you make significant trade-offs. You may have a hot shower, but you may not enjoy the Milky Way on a moonless night in the middle of a pristine rain forest. Sleeping quarters are cozy. Photo by Alejandro Grajal/Woodland Park Zoo. KP: I think a lot of people in the Pacific Northwest can relate to that feeling. Besides being in nature, what about meeting new people? There is sort of an Anthony Bourdain element to the TKCP program, it’s a whole other world over there, but it also feels very relatable. AG: One of the things Bourdain did was go beyond sharing food and recipes. He was sharing feelings, cultures, and conflict. Conservation is woven into all of that. Tree kangaroos are great, but they are just one ingredient in this complex story. People in PNG are trying to find a way in their own life. Is our culture going to survive? What are the values of our culture? Things are changing, how can we provide a better life for our children? What about our health? How can we make a balance of coexisting with tree 'roos and achieving our life's dreams? These questions are not much different than what we are struggling with here in Seattle. We have more in common than we think. What is the true story we want to share? We can tell it in a larger context, because in a sense, the basic questions are the same, those commonalities are strong. Photo by Lisa Dabek/ Woodland Park Zoo. KP: The Tree Kangaroo Conservation Program was started by Lisa Dabek over twenty years ago and has grown from a conservation program aimed at protecting its flagship species—a then little-known creature—into a robust and holistic program with conservation, education, health care and livelihood initiatives. Coffee has transformed the livelihoods of many of the villages with partnerships like that of Seattle’s Caffe Vita. How do you take your coffee? AG: Black. 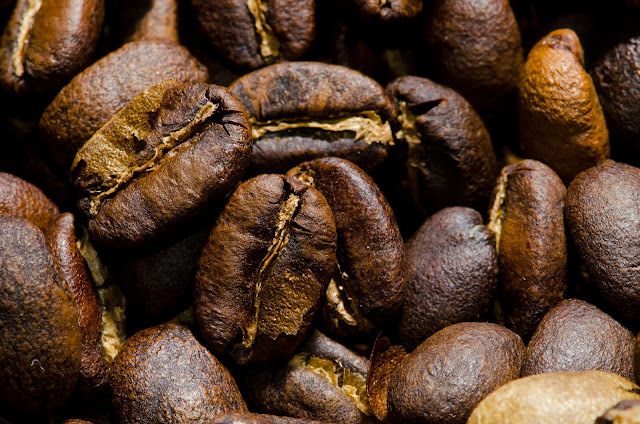 I have always been attached to the biodiversity story of coffee. It’s one of these global commodities that has a very significant impact—positive or negative—on the environment. Shade grown coffee, sustainable, organic, is a very viable solution for many communities around the world. In PNG, they are able to both make a living in a high revenue product, but at the same time preserve a significant portion of the biodiversity component in their farms. It’s working and it works in many other parts of the world. It is a beautiful combination. Caffe Vita YUS coffee. Photo by Ryan Hawk/Woodland Park Zoo. KP: We’ve heard taro root is a staple in Papua New Guinea cuisine, did you try it? AG: Haha, enough. There was plenty to eat. I even prepared a taro-root feast here in Seattle with Lisa and Penny, it was a fantastic meal shared with wonderful humans. Hosts prepare a mountain-top feast! Photo by Alejandro Grajal/Woodland Park Zoo. KP: You are back in Seattle. What did you bring home with you? Was there an "ahaa!" moment you had that might shape the way you see the zoo’s role in conservation? AG: Travel brain is real. It's incredibly useful to be disconnected from those little screens that enslave us. It was great to be unplugged for a long enough period to reconnect with raw nature. Many of the comforts we take for granted are stripped away. No smartphone for 12 days allows you to detach yourself—all of a sudden the ping pong balls in your mind start settling. We need to tell stories and show people that conservation is not a pessimistic attitude, but one of great optimism. Conservation and saving species from extinction can feel heavy and daunting, but it is a combination of hope, community, innovation and energy that make it an extremely exciting field to be in. We extend a huge thank you to all who welcomed our team to Papua New Guinea and for your continued conservation work and incredible energy around saving species. Learn more about Woodland Park Zoo's Tree Kangaroo Conservation Program and how you can join us. A tree kangaroo is about to be released back into its forest home after having its radio collar checked. Photo by Alejandro Grajal/Woodland Park Zoo.